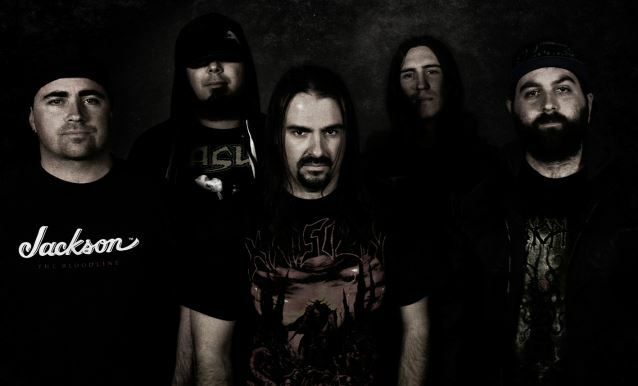 It’s been a while since Australian act Truth Corroded has delivered some new material. Six years in fact, since they bulldozed through with 2013’s The Saviors Slain. Said release didn’t really offer up much in the realms of variation, but provided some cut-throat death/thrash. 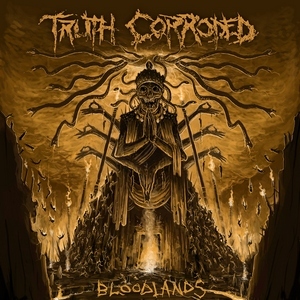 The years between releases have nothing but cemented the band’s growing extremity, and landing at Unique Leader Records for their sixth album seems a fitting one given the brutality present on Bloodlands. 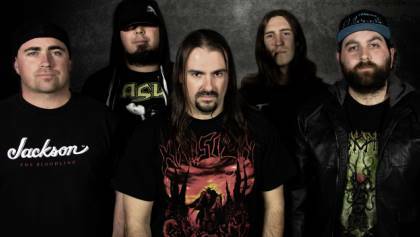 Though it’s a different type of brutality than the label’s usual tech-death and deathcore stomping grounds. 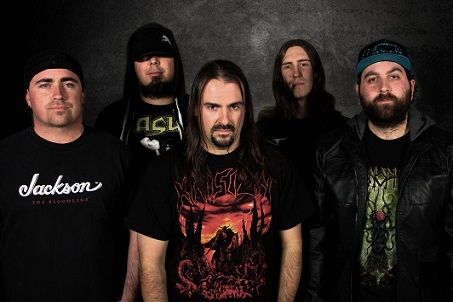 The album takes little time to kick things up into high gear, with only a moody melodic minute to introduce things before hitting the gas and launching into blastbeats and breakneck thrash tempos. The first four tracks rip through at about the same pace, which brings a rush of adrenaline but nothing that really holds the attention past the initial listens. At the midway point, we are given some female vocals and added melody with “The Storm” (and its title track intro) but the band simply gravitates back towards the usual barrage up to the final track, “I Once Breathed.” Here the band again tries something a bit different, with a more mid-tempo experience that aims down a darker and more atmospheric path. Though at almost 10-minutes in length, it meanders a bit more than it needs to. 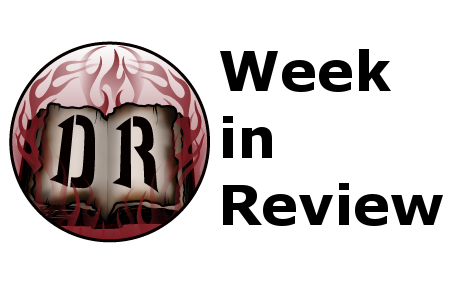 While Bloodlands has some good writing behind it, and one will enjoy the rush while it lasts, it doesn’t offer much beyond that. Much of the album has more of a generic feel to it (right down to the ‘staple’ 4.5 minute runtimes) and doesn’t leave quite the lasting impression that its predecessor did. 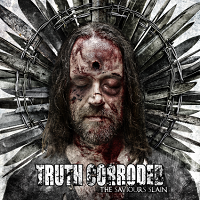 Truth Corroded continue to bring the brutality, but some more variation would really do it wonders.